Saracens Head Inn01263 768909work01263 768993fax InnThe individualistic Saracen's Head is truly a lost wonder worth finding. A humble Free House under private ownership. Well known for its delicious style of cooking and mellow atmosphere it sits in the middle of Norfolk fields, sheltered from the humdrum of the everyday 'rat race'. Its relaxed and casual atmosphere belies the fervour in the kitchen as Robert Dawson-Smith and his team cook up some of Norfolk's most delicious wild and tame treats. Sit back and enjoy the addictive 'parlour room' atmosphere: Roaring log fires in winter in the cosy bar and parlour areas, and there is also the delightful and sheltered courtyard for the summer months. Food is served from 12.30pm - 2pm and 7.30pm - 9.00pm (...ish). Tuesday evenings to Sunday evenings inclusive. Our menu changes every lunch & supper. Booking is always advisable. We have 6 en suite bedrooms with an arty, colourful and comfortable feel (With an EETB rating of 4 stars with a silver award.) 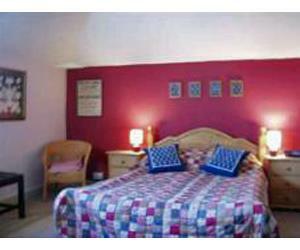 Single £45, double £90, Dinner B&B £140, minimum of 2 night stay, DBB only at weekend. We are ideally located to escape the usual tourist trails, but still handy enough for visits to Norfolk's beautiful and unspoilt coastline and countryside, or to explore Mannington, Blickling and Felbrigg Halls. Then in the evening you can retreat to one of our cosy bar areas or the delightful Parlour, warm in front of a roaring log fire with a big glass of wine, and enjoy some of Norfolk's most delicious dishes. The individualistic Saracen's Head is truly a lost wonder worth finding. A humble Free House under private ownership. Well known for its delicious style of cooking and mellow atmosphere it sits in the middle of Norfolk fields, sheltered from the humdrum of the everyday 'rat race'. Its relaxed and casual atmosphere belies the fervour in the kitchen as Robert Dawson-Smith and his team cook up some of Norfolk's most delicious wild and tame treats. Sit back and enjoy the addictive 'parlour room' atmosphere: Roaring log fires in winter in the cosy bar and parlour areas, and there is also the delightful and sheltered courtyard for the summer months. Food is served from 12.30pm - 2pm and 7.30pm - 9.00pm (...ish). Tuesday evenings to Sunday evenings inclusive. Our menu changes every lunch & supper. Booking is always advisable. We have 6 en suite bedrooms with an arty, colourful and comfortable feel (With an EETB rating of 4 stars with a silver award.) Single £45, double £90, Dinner B&B £140, minimum of 2 night stay, DBB only at weekend. We are ideally located to escape the usual tourist trails, but still handy enough for visits to Norfolk's beautiful and unspoilt coastline and countryside, or to explore Mannington, Blickling and Felbrigg Halls. Then in the evening you can retreat to one of our cosy bar areas or the delightful Parlour, warm in front of a roaring log fire with a big glass of wine, and enjoy some of Norfolk's most delicious dishes. We are closed Christmas Day (all day) and Boxing Day (evening only), all Mondays except Bank Holidays (all day), all Tuesdays lunchtimes only, we are open Tuesday pm to Sunday pm inclusive. We are surrounded by the beautiful North Norfolk countryside, walking, coast, national trust and private house and gardens. To visit - shopping, galleries, horse riding, fishing and golf all within 10 miles. 'Lost' in the Norfolk lanes, scrumptious food. Main entry in many guides, (Good Food Guide, Hardens, The Good Hotel Guide, The Michelin Pub Guide and Alistair Sawday). Children welcome from any age. From Norwich. About 3 1/2 miles past the Aylsham roundabout, turn off the A140 at the large tourist board sign marked "Wolterton Hall". Follow signs into Erpingham, go past the pub for another 1/4 mile. Don't bear right for Aldborough. Instead, keep straight on past the church on the left and head for open country. After 1/2 mile, find us on the right hand side! Do phone for directions.